Toxicology is the scientific study of adverse effects that occur in living organisms due to chemicals. It involves observing and reporting symptoms, mechanisms, detection, and treatments of toxic substances, in particular, relation to the poisoning of humans. It includes environmental agents and chemical compounds found in nature, as well as pharmaceutical compounds that are synthesized for medical use by humans. These substances may produce toxic effects in living organisms including disturbance in growth patterns, discomfort, disease, and death. LD50 is a common term used in toxicology, which refers to the dose of a substance that displays toxicity in that it kills 50% of a test population. In scientific research, rats or other surrogates are usually used to determine toxicity and the data are extrapolated to use by humans. Clinical Pharmacology has been practiced for centuries by observing the effects of herbal remedies and early drugs on humans. The pharmacologic effect that a medication has on the body is known as pharmacodynamics. Pharmacokinetic and pharmacodynamics parameters become important because of the association between host drug concentrations, microorganism eradication, and resistance. 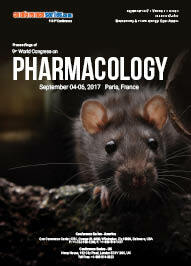 Since long scientific advances allowed scientists to come together with the study of physiological effects with biological effects Receptor theory for drug effects and its discovery with clinical pharmacology has stretched out to be a multidisciplinary field and has contributed to the findings of drug interaction, therapeutic effectiveness, and safety. Drug interactions and pharmacological compatibilities include the study of pharmacokinetics that includes the absorption, distribution, metabolism, and elimination of drugs. The pharmacologic effect that a medication has on the body is known as pharmacodynamics. Pharmacokinetic and pharmacodynamics parameters become especially important because of the association between drug application, microorganism abolition, and resistance. Cardio pharmacodynamics of digitalis is most frequently used to increase the adequacy of the circulation in patients with CCF and to slow the ventricular rate in patients with atrial fibrillation or flutter NB: the main action of digitalis is its ability to increase myocardial contractility its positive isotropic action results in, a. increased cardiac output, b. decreased heart size, c. decreased venous pressure, d. decreased circulating blood volume. e. neural tissue being responsible for indirect cardiac actions of the drug finally, changes to the circulation brought about by digitalis frequently result in reflex autonomic & hormonal changes which affect the CVS. Role of drugs in coronary circulation the circulatory system is busy providing oxygen and nourishment to every cell of the body, let's not forget that the heart, which works hardest of all, needs nourishment. Ethnopharmacology is to identify the objectives of a largely virtual field whose self-identified membership represents a diverse suite of academic and applied disciplines, as well as commercial interests. Integrative Pharmacological Investigations include conglomeration of more number of pharmacological aspects and aggregated scientific research of two or more drugs. Natural products of chemistry in drug discovery play a vital role in bringing advances in traditional drug treatments. Chemistry and structural elucidation of drugs accelerate potential treatment options in the evolving developmental changes. Natural and synthetic derivatives in pharmacological studies are an important aspect of advances in the development and investigation that avoid adverse drug reactions of synthetic medicine. A mere change in the structures of the drugs can cause potential differences in efficacy and therapeutics of drug treatment. Reverse pharmacology includes drug screening deals with reverse pharmacology and forward pharmacology are two approaches to drug discovery. Target based drug discovery is the process through which potential new medicines are identified. 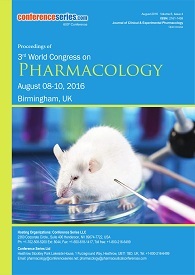 It involves a wide range of scientific disciplines, including biology, chemistry and pharmacology, screening of chemical libraries and its pharmacology, methods to determine biological targeting, by systematically perturbing and interrogating biological pathways with synthetically novel chemical tools, preclinical validation of target biology is beginning to illuminate a more cost-effective and efficient paradigm for the development of novel drugs modulating novel targets. Food and Chemical Toxicology (FCT), an internationally renowned journal, that publishes original research articles and reviews on toxic effects, in animals and humans, of natural or synthetic chemicals occurring in the human environment with particular emphasis on food, drugs, and chemicals, including agricultural and industrial safety, and consumer product safety. Areas such as safety evaluation of novel foods and ingredients, biotechnologically-derived products, and nanomaterials are included in the scope of the journal. 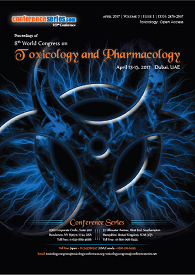 FCT also encourages submission of papers on inter-relationships between nutrition and toxicology and on in vitro techniques. Furthermore, new areas such as safety evaluation of novel foods and biotechnologically derived products and inter-relationships between nutrition and toxicology are welcomed. The studies may address the physiological, biochemical or pathological changes induced by specific substances, techniques for assessing potential toxicity, including molecular biology or the mechanisms underlying toxic phenomena. Genetic toxicology helps to discern the possibility of heritable mutations, developmental defects, cancer initiation, aging, and other long-term adverse genetic effects. Genotoxicity describes the assets of chemical sellers that damage the genetic records inside cellular causing mutations, which may lead to most cancers. At the same time, genotoxicity is often stressed with mutagenicity; all mutagens are genotoxic, while no longer all genotoxic materials are mutagenic. The alteration could have direct or indirect consequences at the DNA: the induction of mutations mistimed occasion activation, and direct DNA damage leading to mutations. Nursing Pharmacology is the study of how guidelines for nurses with regard to the substances that interact with living organisms to produce a change in function. It deals with the research, discovery, and characterization of chemicals which show biological effects and the illumination of cellular and organism function in relation to these chemicals. If substances have medicinal properties, they are considered pharmaceuticals. It encompasses mechanisms of drug action, drug composition and properties, interactions, toxicology, therapies, medical applications, and antipathogenic capabilities. Ethnopharmacology is a study or comparison of the traditional medicine practiced by various ethnic groups and especially by indigenous peoples. The word ethnomedicine is sometimes used as a synonym for traditional medicine. Ethnomedical research is interdisciplinary; in its study of traditional medicines, it applies the methods of ethnobotany and medical anthropology. Often, the medicine traditions it studies are preserved only by oral tradition. Scientific ethnomedical studies constitute either anthropological research or drug discovery research. Anthropological studies examine the cultural perception and context of a traditional medicine. The purpose of drug discovery research is to identify and develop a marketable pharmaceutical product. 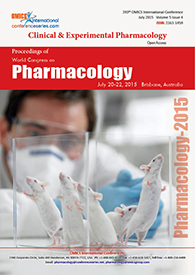 Various streams of ethnopharmacology include clinical ethnopharmacy and ethnopharmaceutics.